Lock in a great price for AC Hotel Malaga Palacio, a Marriott Lifestyle Hotel – rated 8.8 by recent guests! The location!! We were upgraded and got the biggest room we have ever been in. Thanks a lot. 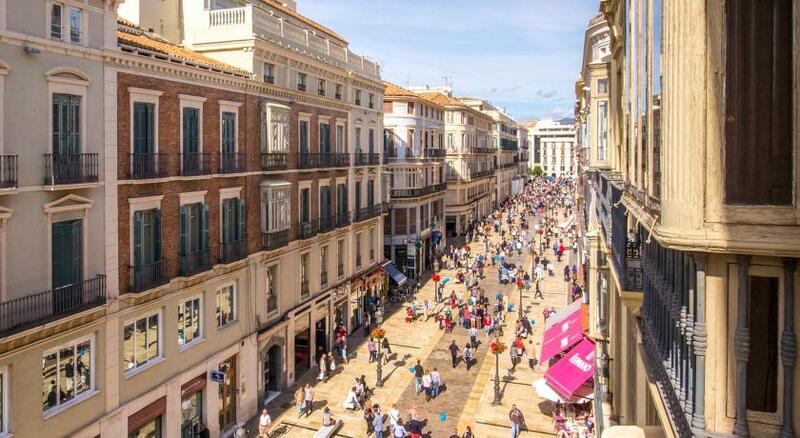 Excellent location close to all major Malaga tourist attractions. The views from the rooftop and from the room are excellent. The bed linen was divine. The bed was very comfortable. The traffic noise from the street cannot be heard when the windows are closed. Bonus amenities in the bathroom (toothbrush, comb, great shower gel). The view is to die for. I liked the style of the hotel & the views from the rooftop terrace. Staff were quick to sort a change of room when we had issue with the bed they gave us. The lounge area on the ground floor was nice and is a cool area. The food in the restaurant was nice but the priciest meal we had on our whole 9 day trip to Malaga/Nerja. well, i know that hotel very well. 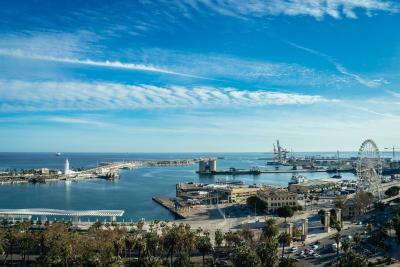 I am used to stay there when I go to Málaga. locations is very good. 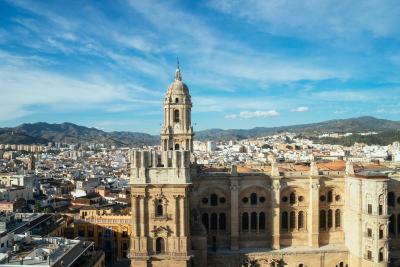 Excellent location for sightseeing in Malaga and easy, regular public transport close by to explore further afield. Rooms well appointed for both business and leisure guests. Pleasant, welcoming staff. The cleaness, the views and the people on the reception and the bar, they were all really sweet and the service was on point. The room was comfortable and the location is the best if you like to visit the city centre, the historic atractions and the museum, specially, the cathedral is just a 3 minute walk from the entrance of the hotel. AC Hotel Malaga Palacio, a Marriott Lifestyle Hotel This rating is a reflection of how the property compares to the industry standard when it comes to price, facilities and services available. It's based on a self-evaluation by the property. Use this rating to help choose your stay! 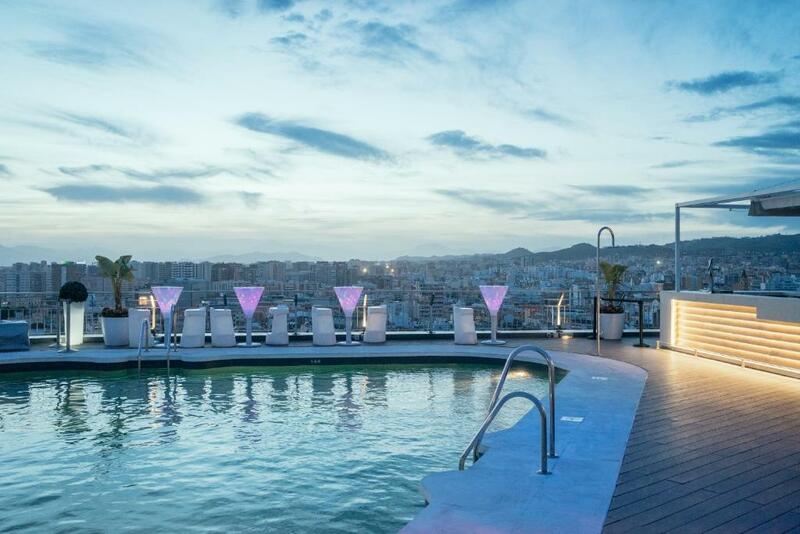 Located between Málaga Cathedral and Paseo del Parque, AC Hotel Malaga Palacio features a rooftop swimming pool and views of Málaga’s port. It has a gym and rooms with flat-screen TVs. The AC Hotel Malaga Palacio has simple, contemporary décor throughout. Each of its rooms has a mini-bar and satellite TV channels. Free WiFi is available throughout the property. 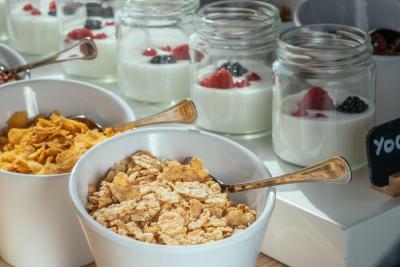 The hotel restaurant offers a buffet breakfast and a selection of Spanish cuisine. The stylish dining room offers panoramic sea and park views. Gluten-free menus are available on prior request. 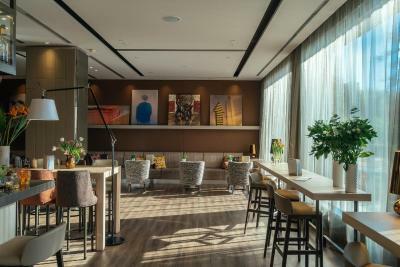 Guests can enjoy a drink or snack in the AC Lounge, or in the Bar Ático, located on the 15th-floor’s terrace. 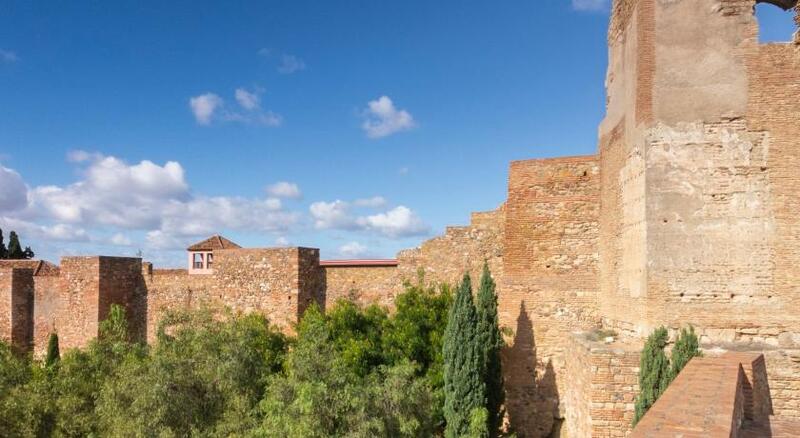 The famous Picasso Museum is just 2,300 feet from the hotel, and La Alcazaba Castle is a 5-minute walk away. Málaga Railway Station is 1.2 mi from the hotel. 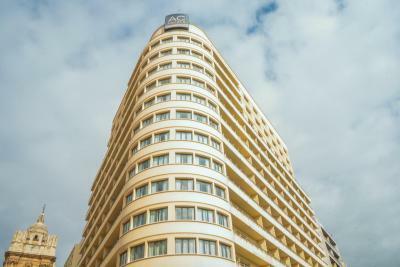 When would you like to stay at AC Hotel Malaga Palacio, a Marriott Lifestyle Hotel? This air-conditioned and heated room comes with 1 double or 2 single beds and features plasma TV and a desk. The private bathroom includes a bath tub, free toiletries and a hairdryer. This spacious, air-conditioned and heated suite offers a separate lounge with plasma TV with international channels. It comes with 1 extra large double bed or 2 single beds. The marble bathroom includes, slippers, bathrobes and luxury toiletries. There is also free Wi-Fi, a mini-bar (surcharge) and welcome chocolates. Some Junior Suites feature a furnished terrace. 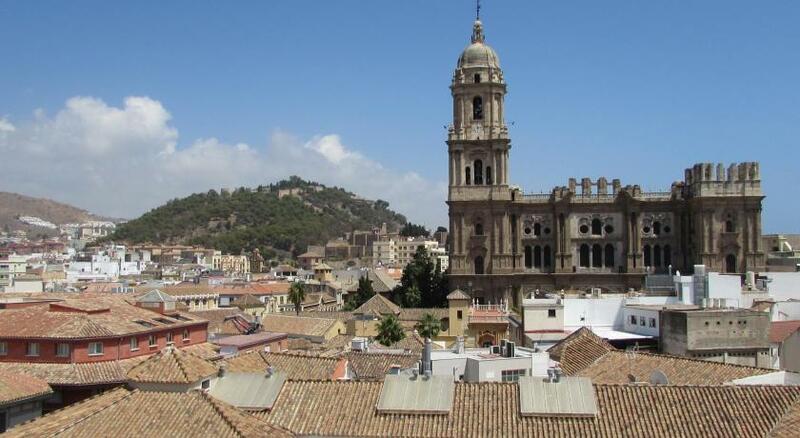 Some also offer views of Málaga Bay and others overlook the old town. Set from the 9th to the 14th floors of the hotel, these air-conditioned and heated rooms have panoramic views of the sea or the city. They feature a plasma TV, welcome chocolates, a desk and a mini-bar. The private bathroom includes free toiletries, slippers and a hairdryer. Set from the 6th to the 11th floors of the hotel, this room offers a furnished terrace with scenic sea views and views of Málaga Bay. It comes with welcome chocolates, air conditioning, heating, plasma TV and a mini-bar. The bathroom includes slippers, bathrobes and luxury toiletries. This interior-facing room comes with 1 double or 2 single beds and features plasma TV, a desk and a mini-bar. The private bathroom includes free toiletries and a hairdryer. Air-conditioning and heating are available depending on the season. Wi-Fi access is available at an extra cost. This spacious Family Room is air-conditioned and heated, and offers a separate lounge with double sofa-bed, plasma TV with international channels and chocolates. It comes with 1 extra large double bed or 2 single beds. The marble bathroom includes slippers, bathrobes and luxury toiletries. There is also free WiFi and a mini-bar (surcharge). Some Family Rooms feature a furnished terrace. 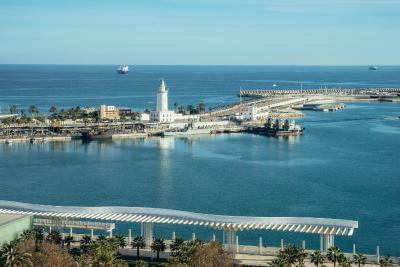 Some also offer views of Malaga Bay and others overlook the old town. House Rules AC Hotel Malaga Palacio, a Marriott Lifestyle Hotel takes special requests – add in the next step! 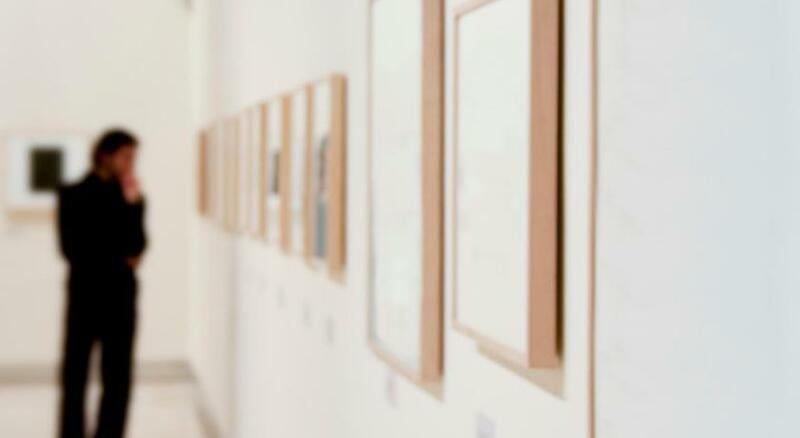 AC Hotel Malaga Palacio, a Marriott Lifestyle Hotel accepts these cards and reserves the right to temporarily hold an amount prior to arrival. Please note that the hotel terrace may be closed on certain dates due to private events. Please note that air conditioned and heating are available depending on the season and centrally controlled. Great hotel, big but good. Location superb, room fantastic, staff super friendly, really clean. One grumpy lift attendant! Everyone else charming. We had an amazing time staying at this hotel. Our room was on the 13th floor with an amazing view over the city and the cathedral. It made the mornings and nights so beautiful and amazing. The room was clean and large, bed was super comfortable and the bathroom was really nice as well. Staff were always helpful and accommodating. The rooftop bar/pool area was amazing, with beautiful views and great drinks. 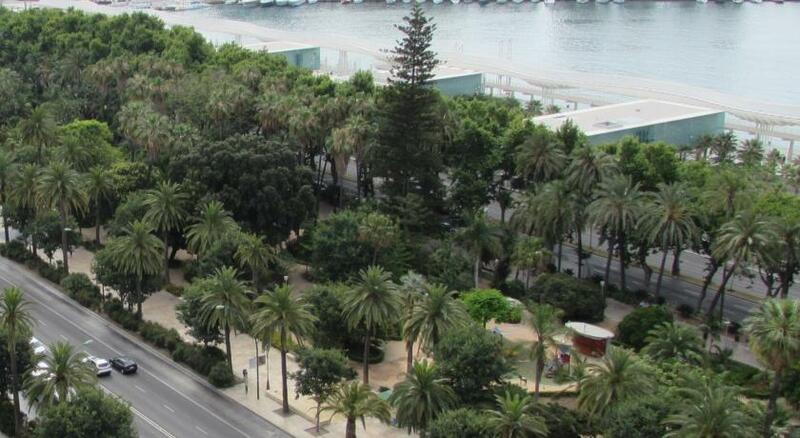 The location is also very ideal, close to the beach and pretty much everything worth seeing in the city. Loved it! I was shocked and horrified to effectively be accused of stealing the iron from my room after I checked out (in the hotel's words 'the iron was missing so we assumed you wanted to buy it'). I understand that things go missing from hotel rooms but to make this false accusation without consulting me and have money taken from my account was erroneous and highly insulting. The hotel did refund me but this was only after a chain of emails and having to await the verdict of their Housekeeping Manager who was absent when I first raised the issue. There was clearly no regard here for customer service. This was a very disappointing end to what was otherwise a great stay. Courteous and pleasant staff on check in, upgraded to a front facing room with a balcony. I did not sleep good ....because of a terrible noise from the street. And that was because they buildt tribunas for the Semanta Prosesion , so we had the wrobg rom this time! Very god bed! And Food. And loves the old town and the habour The view from the terass was greit ....agains the catedral and old town! The elevators were a bit strange to operate. The roof terrace was amazing, great views of Malaga. I also loved the city center location. needs update of room particularely the storage facilities in room. 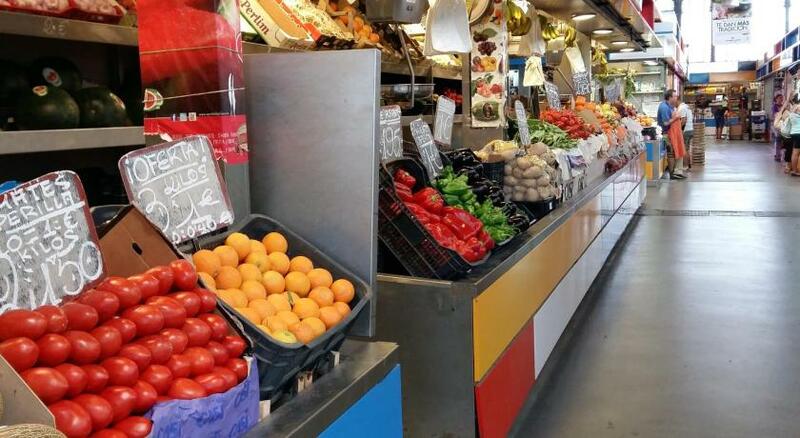 Everything, very clean the people very friendly and helpful!